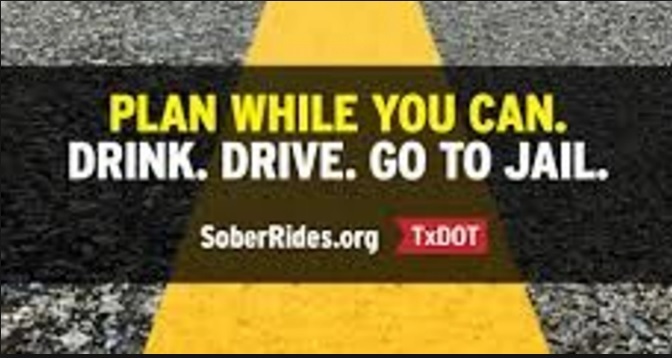 AUSTIN – With the excitement of Super Bowl weekend just days away, the Texas Department of Transportation is urging football fans to “Plan While You Can” for a sober ride before enjoying game-day watch parties and other activities that may involve alcohol. During last year’s Super Bowl weekend,* there were 258 alcohol-related crashes in Texas. Those crashes killed eight people and seriously injured another 21. Since Nov. 7, 2000, at least one person has died on Texas roadways every single day. To end this violent streak, TxDOT encourages everyone to drive sober, buckle up, slow down, drive to conditions and respect other drivers. Driver education efforts such as “Plan While You Can” are critical components of TxDOT’s #EndTheStreakTX awareness campaign that reminds drivers it’s a shared responsibility among all of us to keep our roads safe. Please help us end the streak. The information contained in this report represents reportable data collected from the Texas Peace Officer’s Crash Report (CR-3). This information was received and processed by the department as of Dec. 11, 2018.